If you’re not taking full advantage of your assets, they’re hurting your business. The majority of organizations have both IT hardware and software sitting around unused and drain your important resources. Stop paying for unnecessary licenses and devices! Some businesses and organizations do not have the resources to completely utilize their IT investments. 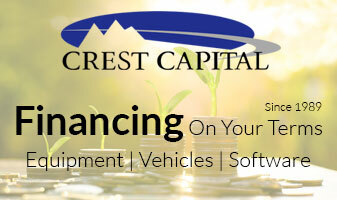 Gain understanding into your IT capital is necessary to reclaim unused software, stay in compliance, and guarantee your assets aren’t wasting your money. Do more than simply track your assets; manage them. IT Asset Management, or ITAM, is about controlling your assets throughout their entire lifespan to make sure they are always being utilized correctly. Improperly managing your IT assets could result in a financial risk, non-compliance, hardware downtime, or security dangers. Ivanti ITAM solutions convey an understanding of the assets that already exist within your network as well as new purchases. This powerful tool allows you to find the assets vital to your business, offers perceptions for more educated decision making, and make the most of your IT capital. The IT Asset Management Suite delivers solutions that can be custom-made to your specific needs and enhance your IT performance. Redeem unused software, reply quicker to audits, and tail lifecycle processes to comprehend your successful license position and optimize your hardware and software investments.